Hi, I am Dinda Puspitasari. I love artsy and creative things. I'm a freelance illustrator and the owner of a clothing line called Curious. I started this blog in early 2009, when I was still in college. It was just a random idea to share my daily life, my artworks, my inspirations and everything that I like. Now I mostly blog about style, art, design, and DIY projects. Still don't get who I am? Well, here's a quick milestone. 2010 - Graduated from Universitas Indonesia and started working at one of the biggest retail company in Indonesia. Not long after, I moved to a digital PR agency. Within this year, based on my love for fashion (especially clothes), I also started my own clothing line, Curious. 2011 - The digital PR agency delegated me to go to Hong Kong for a regional conference. This is one of the biggest achievements I've had. I also became the 1st winner of Gogirl! Artwork Competition. 2012 - I started taking this blog seriously and that leads me to Seoul! Korean Air flew me to Seoul for a week of cultural experience. Early 2013 - For around two years, I was working in an ad agency, yet still managed to do some illustrations for Simpati and New POND'S White Beauty. End of 2013 - I resigned and started a new chapter in my life by being a full time entrepreneur and illustrator! February 2014 - I became the illustrator of Brain, Beauty, Belief book by Dian Pelangi. Have you got the book? 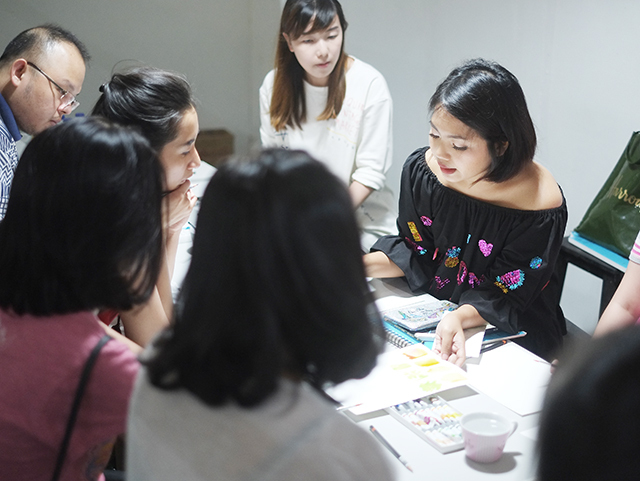 May 2014 - This blog has taken me into amazing experiences, one of them is to have my own style book published by Gramedia! Here, have a quick glance of my Taylor Swift Style Essentials book. 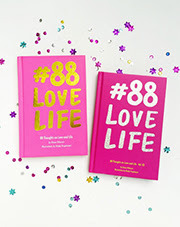 November 2014 - Published a collaboration book entitled #88LOVELIFE with Diana Rikasari. Until February 2015, the book has been printed for 6 batches and sold more than 50,000 copies in Indonesia, Malaysia, Singapore, South Korea, France, US, UK, etc. [update] #88LOVELIFE recently became #1 best seller in MPH Malaysia and still in the top 10 best seller books in Gramedia across Indonesia. March 2015 - Collaborated with Emina cosmetics to design two branded books and became one of Emina's bloggers/influencers. June 2015 - Collaborated with Make Over for a yearly planner notebook. The book is written by Andra Alodita, illustrated by me. If you have anything in mind like questions or collaboration ideas, don't hesitate to send me email to ps.dinda@gmail.com, or simply tweet me to @dindaps. Wow, your blog is beautiful!!! You have an eye for design! Did you do all the designing or hired someone to do this for you? I don't know html well enough to do this, but I would love to learn it!! Thanks for leaving me a sweet comment on my blog. I am so happy you came to me because now I know you! I miss Jakarta! !